Many travelers today easily associate Morocco with hashish (a type of cannabis) but although the country’s production of the drug is centuries old, it was not until the early 1970s that Morocco became internationally recognized for it. Indeed, until t the start of an increasing influx of foreign “hippies” into the country in the late 20th century, much of the cannabis produced in Morocco actually served to satisfy the domestic demand for kif (a mixture of tobacco and chopped pieces of marijuana). Today, it is estimated that Morocco produces anywhere from one third to almost half of all hashish sold around the world, supplying the vast majority of Europe’s demand. While this article does not seek to promote any kind of illegal activity, it is a fact that many travelers use hash when visiting Morocco and it is important for all to be informed of a few issues surrounding hashish and kif. 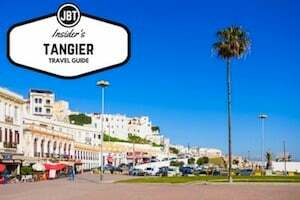 While many people travel to Morocco on a tour for its imperial cities and vast sand dunes, visitors who appreciate scenic landscapes will also enjoy the country’s mountain ranges. The Rif Mountains, situated in the northernmost part of the country and parallel to the Mediterranean coast, offer picturesque panoramas and trails that can satisfy adventurers seeking a challenging trek as well as sightseers who prefer a casual stroll. Regardless of your preference, consider the following tips when planning your visit. Relax in the comfort of a hotel. Those who prefer to sleep in a hotel bed can spend their nights in Chefchaouen. Located on the outskirts of the Rif Mountains and Talassemtane National Park, Chefchaouen offers easy daytrip access to nearby hiking trails through oak, fir and cedar forests with views of hills and streams. While in town, make time to browse through the medina and admire the city’s blue and white buildings. Chefchaouen, the largest town in Morocco’s Rif region, is an excellent place to get away from the hubbub of Morocco’s imperial cities and enjoy an unhurried day or two. Located in northern Morocco, the town is referred to simply as “Chaouen” by the locals and is known for its picturesque medina, access to the mountains and an abundance of kif. 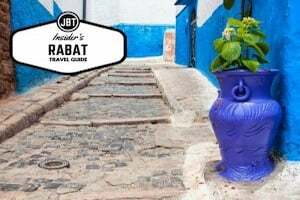 These factors have made Chefchaouen a popular stop on the backpacker itinerary, but all types of tourists come to the town to explore its architecture, learn about Berber culture and take pleasure in its natural setting. Though Morocco’s mountains offer plenty of places for trekking, if you only have time to visit one region when you visit the country, consider exploring the Rif Mountains, located beyond Chefchaouen. The town of Chefchaouen, Morocco, is one of those locations that might have appeared in one of an increasingly unlikely Cheech and Chong movie from the late seventies. 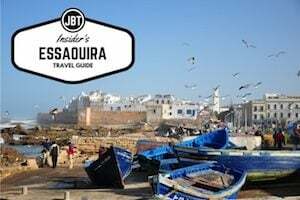 The reason for this is that Chefchaouen is Morocco’s leading producer of cannabis. Much of the farmable soil won’t grow much else, been cannabis grows in abundance and has made itself such an intrinsic part of the city’s life that no one gives it much of a second glance. You might very well see cannabis being sold in an open stand right in between the vegetables and the herbs. The hashish factor alone makes Chefchaouen a great attraction for a large numbers of tourists. But travelers not interested in this aspect of Chefchaouen would still do themselves a major disservice by skipping this city. While cannabis is a part of every day city life here, that is not an accurate description of what the city’s about. Chefchaouen is a beautiful city that should be a mandatory visit for the first time Morocco traveler. Chefchaouen’s appearance will immediately jump out at you, whether it is the very first town you visit in Morocco, or whether you are a long time visitor of the country and know what the rest of the nation looks like. Houses are generally simple, but decorated with bright white walls, while the doors are painted bright blue. The streets are remarkably clean by any world city’s standards, and if the deep blue doors set against brilliant white houses on immaculate streets wasn’t enough for you, there is the skyline. The city of Chefchaouen is nestled snugly between two mountains, climbing up the valley between the two and only ending at the water source which provides some of the freshest water in the country. Chefchaouen is much smaller than larger cities such as Tangier making it a popular stop for off the beaten path types of tourists, and also enjoys a reputation as being one of the safest cities in Morocco. This is certainly impressive considering how safe the majority of nation is. 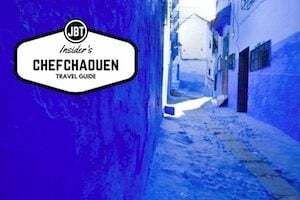 While any traveler should always use common sense and be prepared, for that always lurking “just in case,” Chefchaouen is a rare city in that it claims safety even at night. Many travelers who are familiar from earlier visits to the city will go about their day at a steady and relaxing pace, refusing to speed up even after night falls and covers the entire city in darkness. It appears that there is simply almost never any crime, and the safety there is virtually unmatched. Chefchaouen is also very popular with those looking for a destination designed for backpackers not only because of its excellent northern location, but because there are many different cheap hostels and small cheap hotels. Some numbers claim there are as many as 200 different places to stay, and a traveler on a tight budget should have no problem finding a decent and cheap place to sleep. The townspeople are very friendly and polite, though a little bit less likely to invite you into their homes as many Moroccans are in other parts of the country. This is actually a very interesting aspect when you learn about Chefchaouen’s history. Despite how close to the European continent Chefchaouen is, there were never any European visitors until after 1920. This area was once one of the most hostile towards Europeans, which could be explained since the town was originally founded by Jews and Muslims displaced from Spain during the Inquisition. This hostility continued when Morocco was fighting the Spanish to avoid being a colony. The local chief fought the Spanish, and was captured only with help from French troops. None of this hostility remains, however, though the fierce pride of these citizens can still be seen in that they are very slow to take up Western habits, in large part because of their history. The one major exception is Coca Cola, which can be found everywhere in the country. 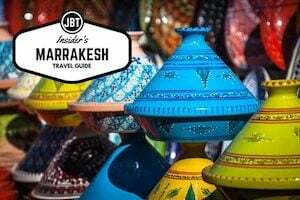 Chefchaouen is a popular shopping destination for many European tourists, as the town offers some native handicrafts that simply can not be found in most other places in Morocco. Woven blankets and wool garments are among two of these handicrafts, though there are many goods made the old way, from leather goods to shoes to cedar wood furniture. In addition to this, Chefchaouen is a popular stop among tourists who don’t like tourist towns. While there are many quality cafes, they do little (to nothing) to cater towards tourists’ taste buds, instead serving the quality Moroccan dishes they would serve even if they were not a tourist town. From the college student backpacking for a summer to the tourist shopper to the rock climber who likes the looks of the cliffs that flank each side of the town—Chefchaouen offers something for every traveler on any regular or trekking Morocco tour or those simply traveling with friends from Spain for the weekend. The Rif are known for their steep cliffs. The highest of the Rif Mountains is Jebel Tidiquin which stands at 2448 meters. 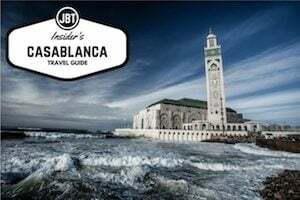 Only small villages are found within the mountains, while small cities of Tetouan and Chefchaouen in the west and Al-Hoceima to the north can be found along the Mediterranean. The Berbers were already residing there when the Phoenicians arrived on the scene in the 3rd Century BCE. The Phoenicians founded Cities of Tetouan, Melilla and Tangier. Later, the Romans and the Byzantines invaded these cities. Early in the 700s AD, Salih ibn Mansur, who brought Islam to the Berbers, established the Kingdom of Nekor. In the 1400s, Spanish Moors came from Spain bringing with them their music and culture. The Spanish founded Chefchaouen. The Rifs became the scene of many battles for control between Spain, Portugal and Morocco. The Spanish invaded Melilla in the late 1400s. After that, a period of peace followed, to be broken by war between Morocco and Spain in the mid 1800s. Even though the Spanish won, the Moroccans kept fighting. Berbers fought against Spanish rule and finally in the 20th Century, guerilla leader, Abd el-Krim El–Khattabi, fought to free Morocco from French and Spanish rule. He established the Republic of Rif in 1921. Morocco took control of the area when it gained independence in 1956.